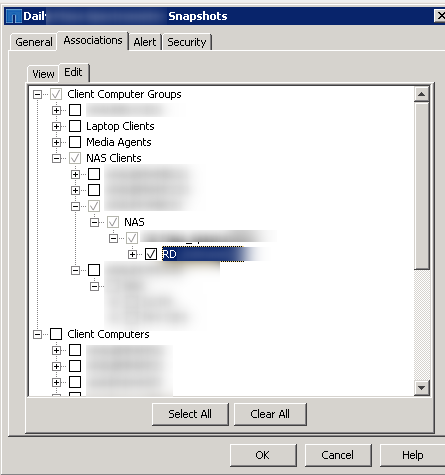 Go to Client Computer and select the controller you wish to enable backups from. 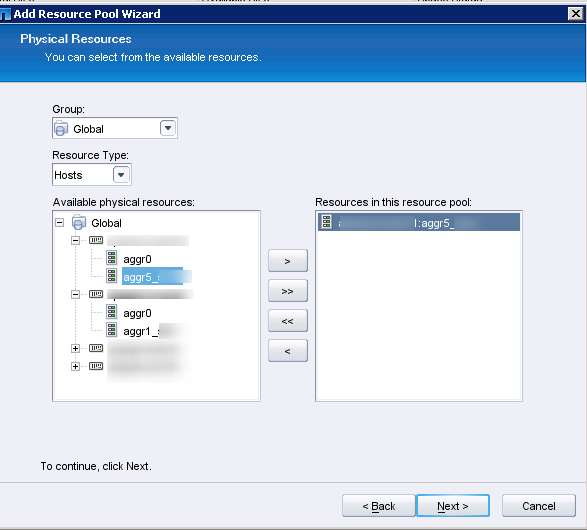 Go to NetApp Management Console and create the resource pools for the aggregrates. 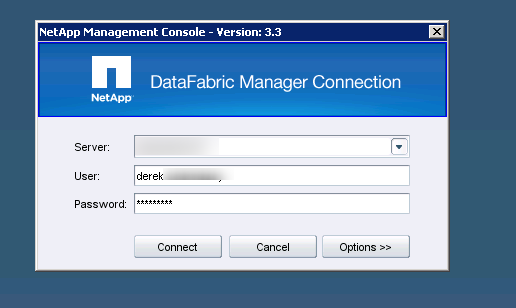 Log onto the server running onCommand and launch the NetApp Management Console. 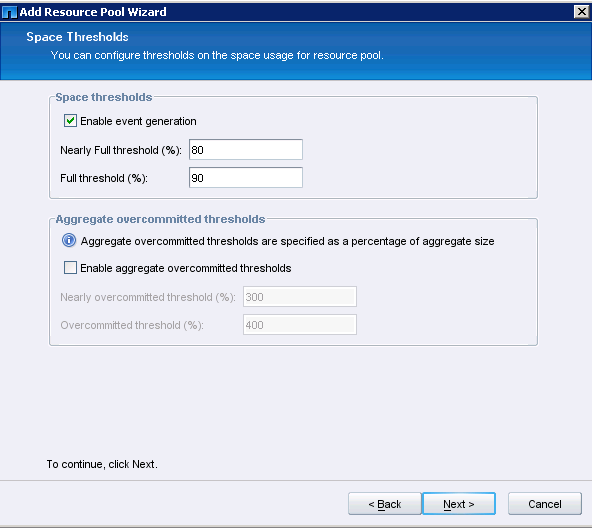 Click next and select the aggregate that’ll be used by the pool. 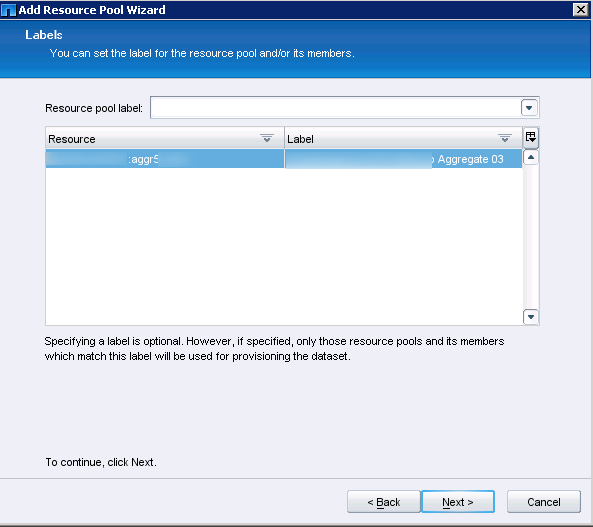 Afterwards in SnapProtect, go into the properties for an existing snapvault/snapmirror and verify that the resource pools appear in the provisioning tab. 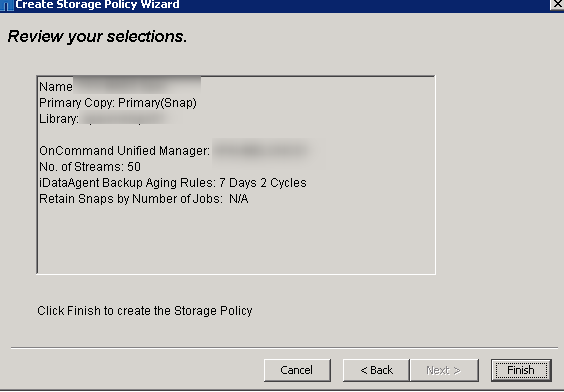 Next, create a Storage Policy to take snapshots of the volume. 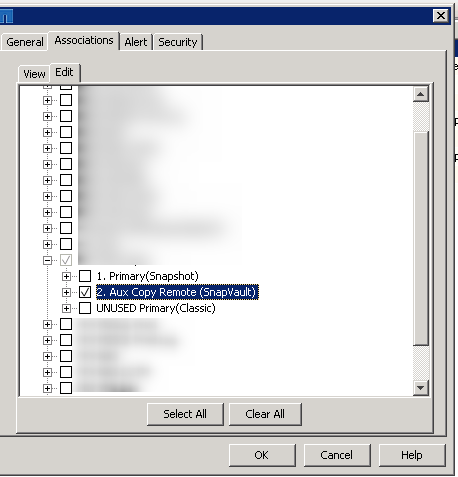 Next right-click on the policy name and select Create a new Snapshot Copy. 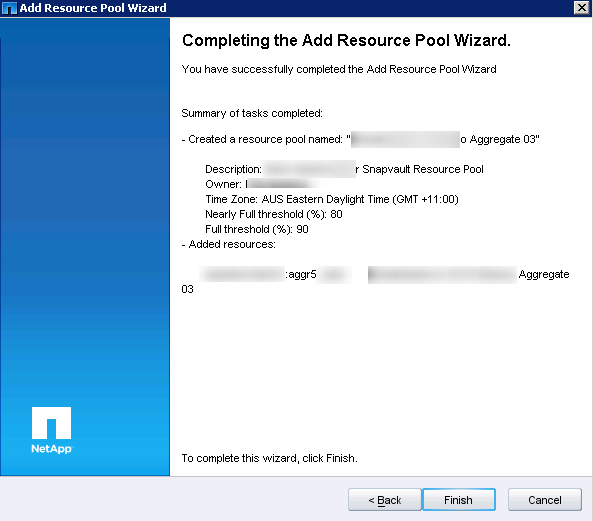 Click on Provisioning and select the required Resource Pool for the Snapvault destination. 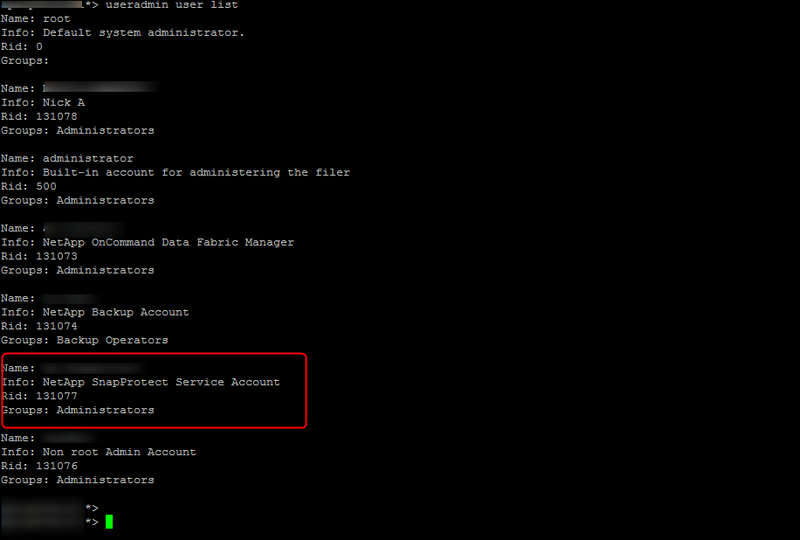 Also select the required Provisioning Policy. Click Ok to save the settings. 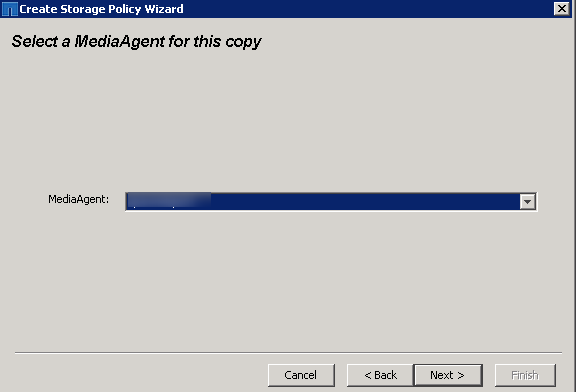 The last thing to do for the policies is to set the Copy Precedence, otherwise the default Classic will appear and break the chain you want to set up. 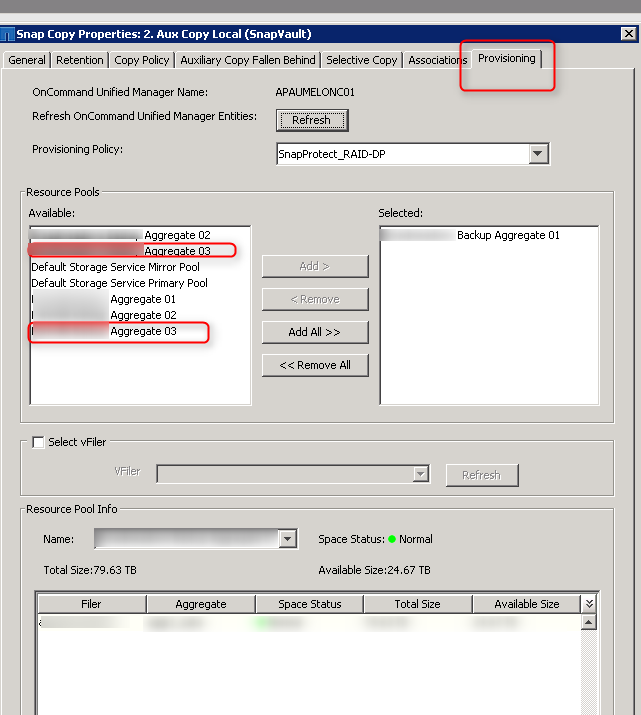 Right-click on the new Storage Policy and select Properties. 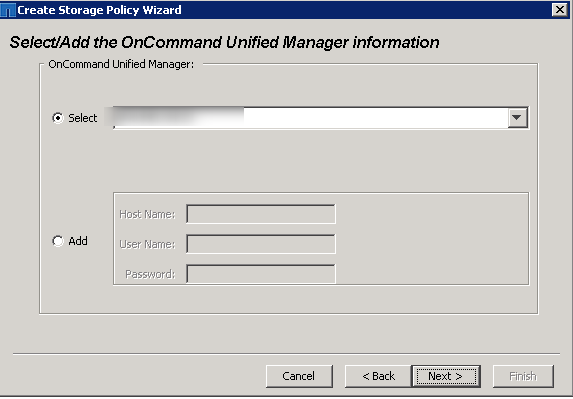 Select the UNUSED policy and click the down arrow so that it is the last in the precedence order. 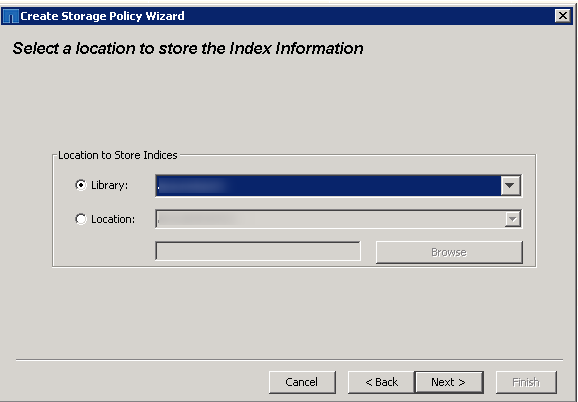 In the default subclient change the settings to point to the required volume and assign it to the newly create storage policy. Go to Properties of the client. 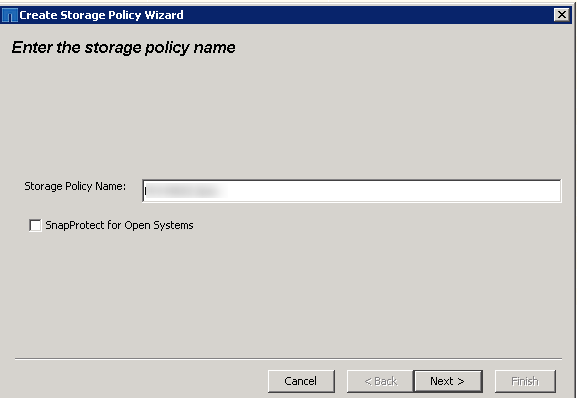 Set the Storage Devce -> Data Storage Policy -> Storage Policy to the new policy. 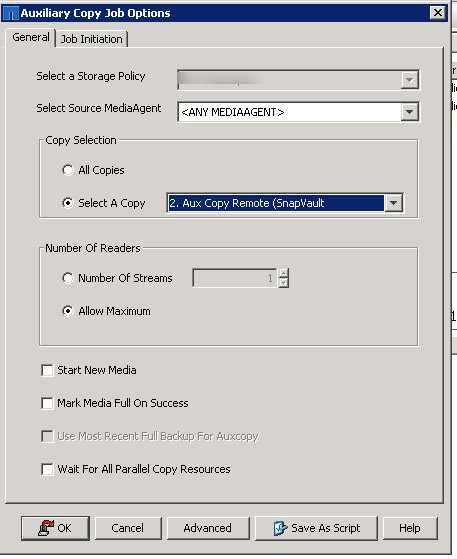 You can also rename the default policy too before clicking ok.
Now run an auxillary copy. 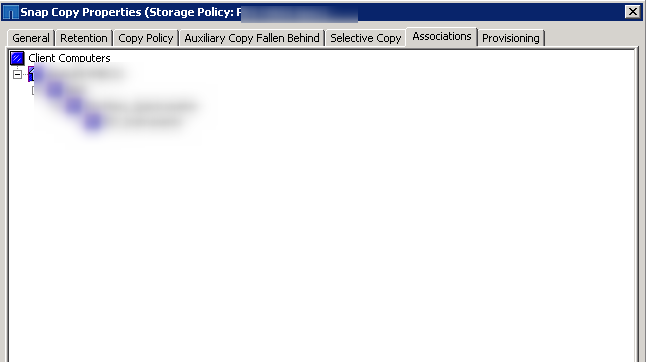 Right-click on the storage policy and select All Tasks -> Run Auxillary copy. To verify that the job is running, from the backup controller run the command snapvault status and you’ll see the status as transferring. The job will say that it’s checking conformance. This involves DFM setting up the relationship. To view what is going on go to the OnCommand server with the Management Console -> Data -> Jobs and you can see the job that is currently running. 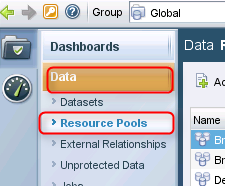 If you click on one of the job steps it will tell you the source and destination volume names. From here you can check on the destination that the volume has been created. Updates within the SnapProtect console are slow so if you want to check on the progress run the snapvault status command again on the controller. 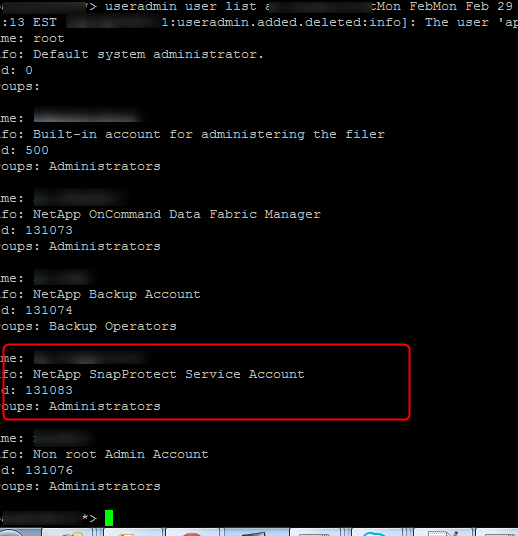 Verify the snapshots have moved across in SnapProtect by going to the Storage Policy and selecting the remote aux copy policy. Right click and select Tasks -> List Snaps. The snapshots that were ready for transmission will be visible. 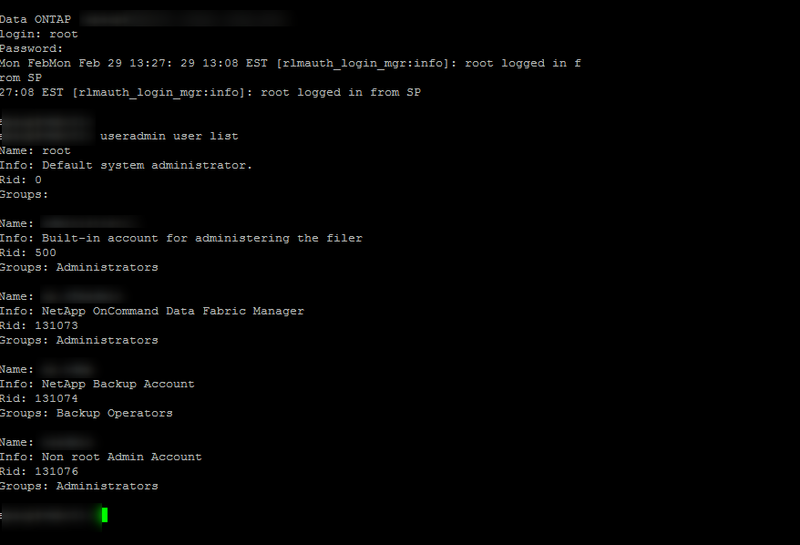 This can also be checked from the System Manager console. Once the aux copy job has been confirmed as completed it’s now time to add the backup and snapvault/snapmirror to a backup schedule. 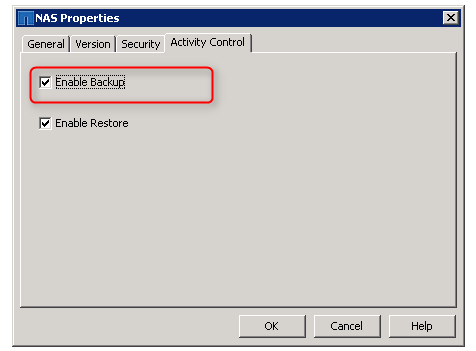 To set the backup schedule policy you first need to check if there are any schedules assigned to the storage policy. If you do then either remove it or ensure it’s correct for your needs, otherwise you’ll end up with two schedules and they will clash and cause issues down the road. 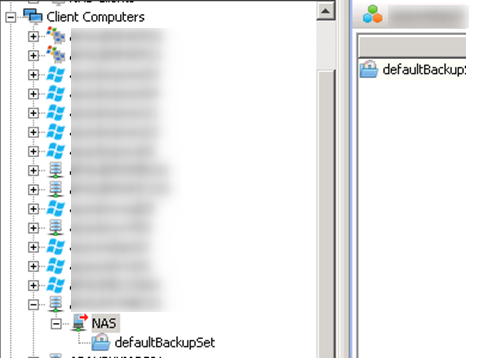 As this backup will run directly on the backup storage and to separate it from other systems I’m going to create new backup schedules for this storage policy. 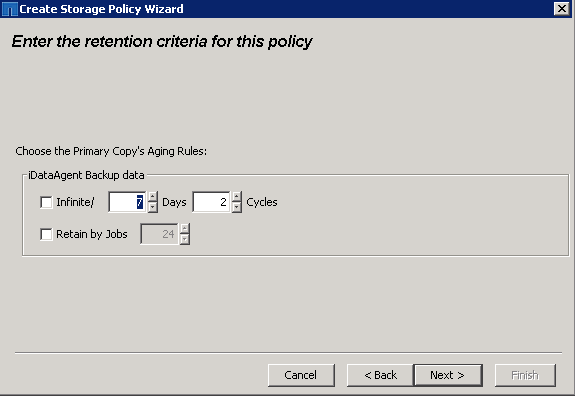 To create a new policy you can right-click on Schedule Policies and select New Schedule Policy or right-click on an existing policy as select clone. 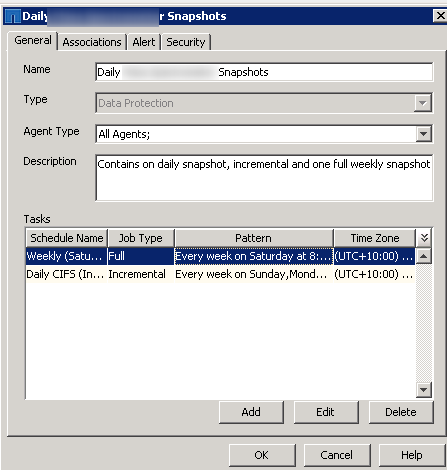 As the CIFS snapshot schedule is configured similar to what I need I’m going to create a clone of the existing Daily CIFS snapshot. 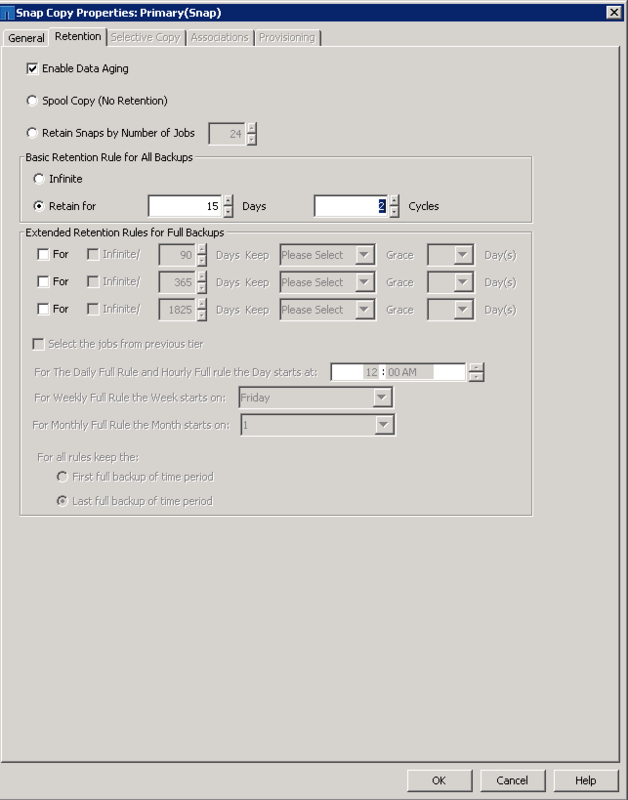 Create the schedules you require for full and incremental backups. 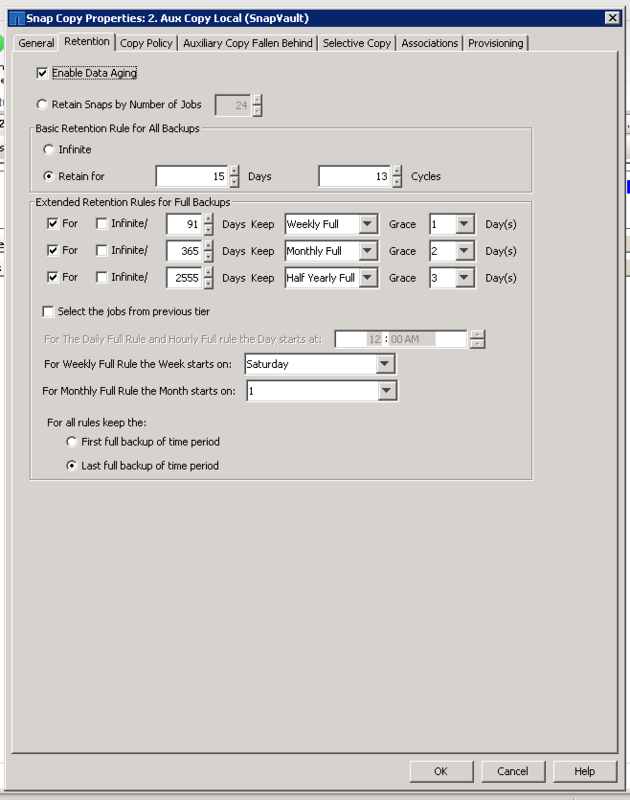 Edit the schedules listed with the policy as required. 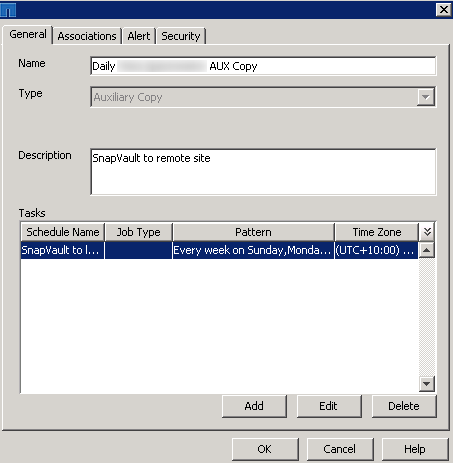 Create/clone a new schedule for the Aux Copy (Snapvault/Snapmirror) also. Set the snapshot replication time to be well after the initial backup to ensure that there’s sufficient time for the primary to finish. 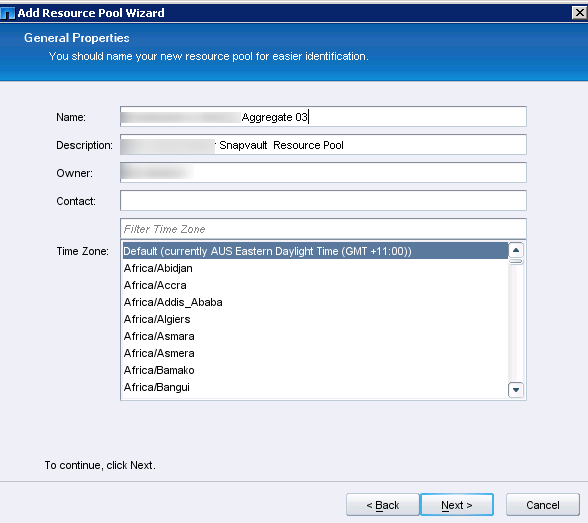 Now you have set up the backup from start to finish, from resource pool creation for an aggregate to setting up and testing the policies. 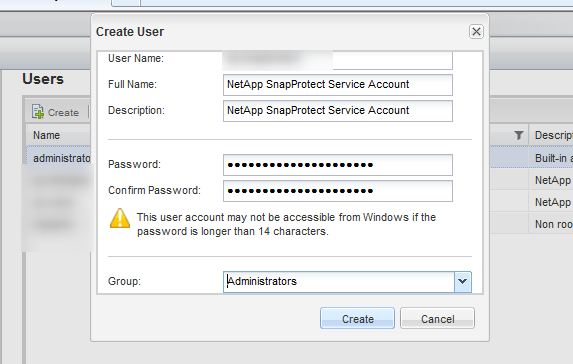 This entry was posted in Netapp, SnapProtect and tagged 7-Mode, CommVault OEM, DFM, NetApp, OCUM, SnapProtect, Snapshot, Snapshot policy. Bookmark the permalink.